Spring arrives in just a few days, so why not start getting your body in shape now for your summeroutfits like bathing suits, shorts and halter dresses? There are simple things you can do that can have a lasting effect on your health and help you lose weight too. 1. Get up and Get Moving! My motto: Something is better than nothing. Fit in exercise whenever you can. 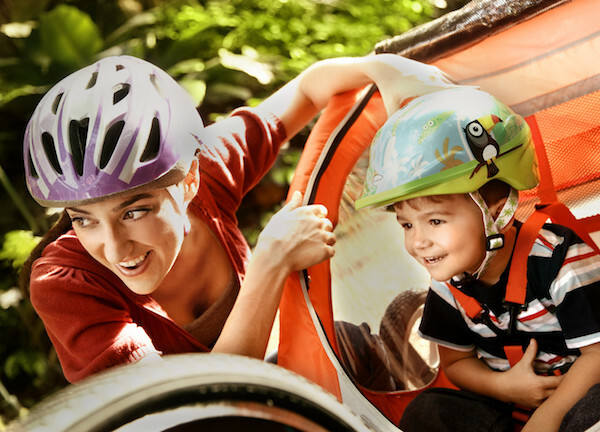 Believe it or not, following/ chasing your child around or pushing the stroller can be a great source of exercise. Park your car farther from your destination, and take the stairs whenever you can. 2. Fuel Your Body! Eat plenty of whole grain breads, pastas and cereals and snack throughout the day. Eat veggies or dark green leafy salads at least twice a day. Consume processed foods high in salt, sugar and/or fat in moderation. Watch your portion size. An easy rule of thumb: keep your portions to the size of your fist. 3. Stay Hydrated! Avoid the common mistake of thinking you’re hungry when you’re actually thirsty. Before eating a meal drink a glass of water first--making sure you are “really” hungry, versus thirsty. Drink at least 8-10 eight ounce glasses of water per day. I know this is common knowledge, but unfortunately, most women don’t drink enough water and often experience dehydration that they mistake for hunger. 4. Set Specific Goals! Be as detailed as possible about the goals you want to achieve. But be realistic too. For example, instead of saying “I want to lose weight” write “I want to lose 10lbs in 30 days.” When you write down specific goals you will know exactly what you want to accomplish and you’ll be able to measure your success. 5. Be Accountable! Get a friend, your husband/partner on board to support you or join an exercise class. If you agree to meet with a friend, spouse or group you will be more likely to exercise because they are counting on you. Plus, you will benefit emotionally from the support and camaraderie. Sara Holliday, MFT, CPT, is a licensed marriage-family therapist, life and fitness coach and holistic health practitioner. She has a Masters Degree in Psychology and a Bachelors Degree in Kinesiology and maintains certifications and/or licenses in a multitude of health and fitness disciplines. As an expert in women and families' health and wellness, Sara has appeared on numerous radio and TV shows including Oprah & Friends Radio, Martha Stewart Living Radio, KABC, KNBC and KTLA and she is a columnist for several publications women’s health and fitness magazines.